Every time a theme park closes, a slice of Americana withers away. I’m a huge fan of preserving attractions history, which is why I am such a huge fan of Arcadia books theme park history series. Their latest title Images of Modern America: Libertyland releases September 25, 2017, and I got my hands on an advance copy. 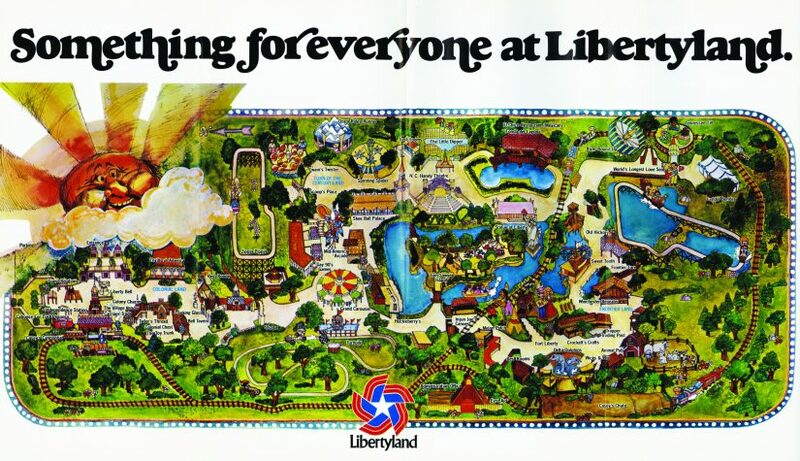 For those unfamiliar, Libertyland officially opened in 1976 in Memphis, Tennessee. However, the parks origins date back to 1900 when it was known as Fairgrounds Amusement Park. 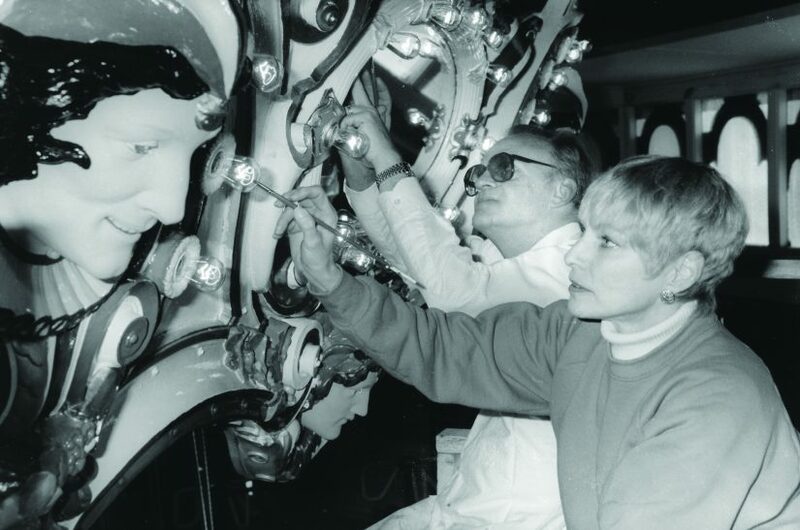 At the end of the day, Fairgrounds was ultimately scrapped for a bigger park that included more entertainment and bigger attractions since theme parks were seeing a boom across the country. One of the rides that stayed through the transition was the Pippin Coaster. The Pippin Scenic Railway (name later changed to Pippin Coaster and Zippin Pippin) was designed by renowned wooden roller coaster designer John A Miller. One of the most famous wooden roller coasters of all time, this classic woodie opened in 1923 and remained a cornerstone of Libertyland through its closing. The good news is, this classic coaster still lives at Bay Beach Amusement Park in Wisconsin! Libertyland was designed by legendary theme park master planning company Duell and Associates. 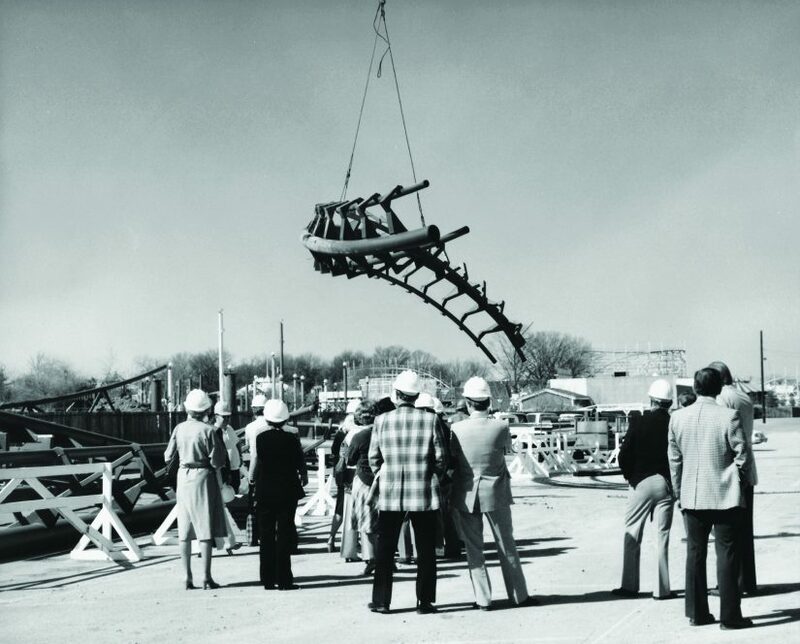 The 20-acre park took 18 months to build and featured three themed lands at opening: Frontier Land, Turn of the Century Land and Colonial Land. 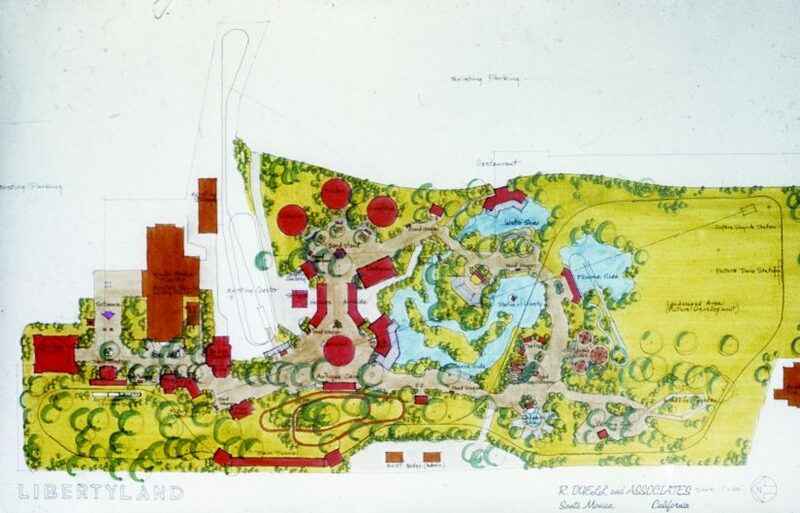 The original park design would feature a skyway and a railroad, in addition to the Pippin Coaster mentioned above and several other unique attractions. By far, what I loved most about reading Images of Modern America: Libertyland was reading about how much Elvis Presley was intertwined with the park. Seen above, Elvis was known for renting out Libertyland for his friends and family. 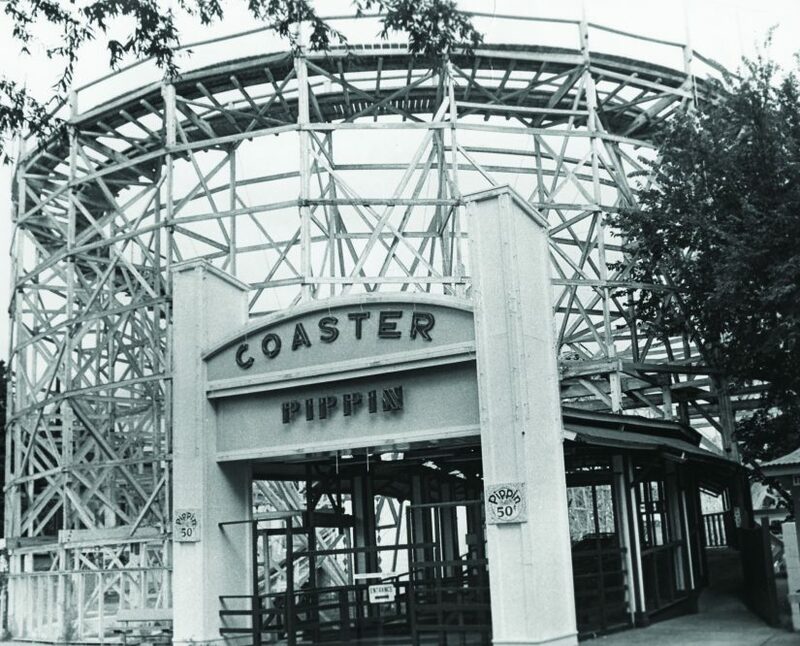 The Zippin Pippin roller coaster garnered many headlines for being known as Presley’s favorite coaster. As a matter of fact, Elvis rented out Libertyland on August 8, 1977, which was one of his last public appearances prior to his death a week later. Libertyland absolutely capitalized on being the neighbor to Elvis Presley and his nearby Graceland home. Seen above is the park’s mascot known as Hound Dog, clearly a nod to one of Presley’s most famous songs. 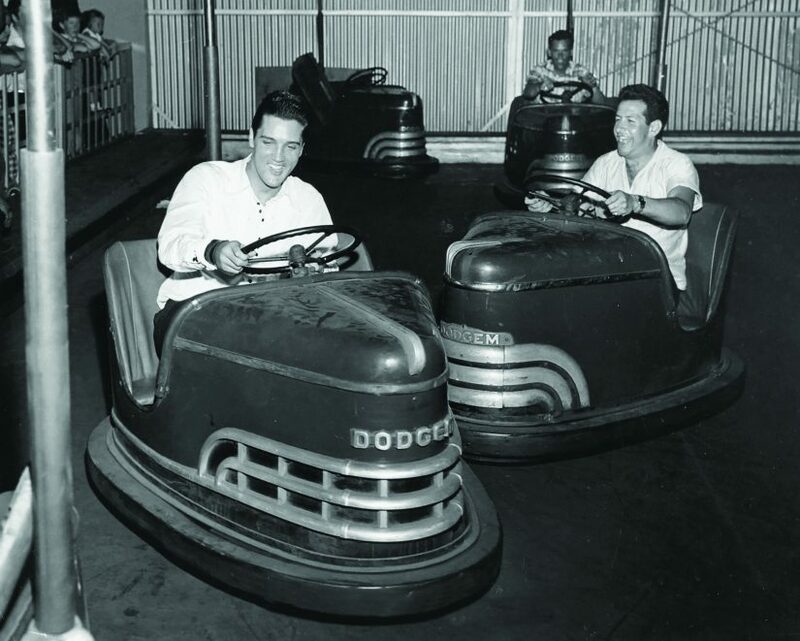 Hound Dog was used in many of the park’s marketing and was well loved by younger guests. According to Images of Modern America: Libertyland, the costume weighed a whopping thirty pounds and performers were only on set for 30 minutes at a time. Libertyland quickly realized that in order to keep up with competition, they’d need to build newer attractions quickly. In 1978, an Arrow Corkscrew was proposed to the local city and county council. What makes this particular coaster interesting, is that Libertyland couldn’t pay for the entire construction cost and it was partially funded by local government. Even more interesting, the park couldn’t have to have the track painted until after it was installed and running for one season. 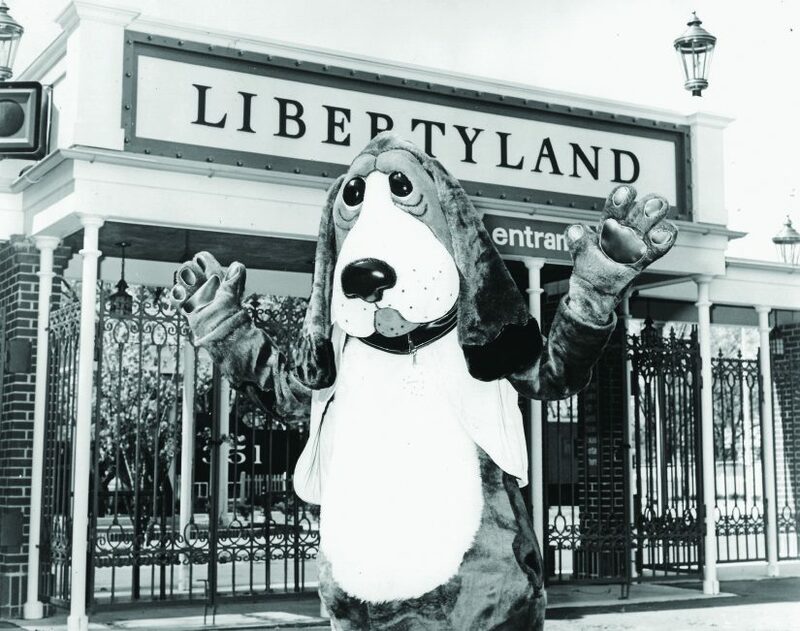 Even though Libertyland closed in the fall of 2005, the history of this amazing park lives on in Images of Modern America: Libertyland by John R. Stevenson. Clearly this project was one of passion and dedication to keeping the memory of Libertyland alive. I can’t recommend this book enough and you can purchase it directly through Amazon by clicking the link below! Make sure to follow Theme Park University on Instagram, on Twitter, subscribe on YouTube and like our Facebook page! Doing any online shopping? Click on any Amazon link on this page and it helps TPU pay the bills and costs you nothing extra!Images reprinted with permission from Images of Modern America Libertyland, by John R. Stevenson V. Available from the publisher online at www.arcadiapublishing.com or by calling (888) 313-2665. This entry was posted in Theme Parks 101 and tagged Elvis Presley, Hound Dog, Libertyland, Memphis, theme park, Theme Park Book. Bookmark the permalink. Trackbacks are closed, but you can post a comment.